Are you looking for a great hiking adventure? Then check out Zion Narrows Day Hike in Zion National Park, Utah. The Zion Narrows Day Hike starts at the Temple of Sinawava where visitors hike up the Riverside Walk trail and then continue hiking right up the river to see some of the best "narrows" sections of the North Fork of the Virgin River. Looking for fun and a new adventure? At Zion Narrows Day Hike, you’ll get thrills and fun hiking on probably one of the most epic canyons in all of Zion National Park. 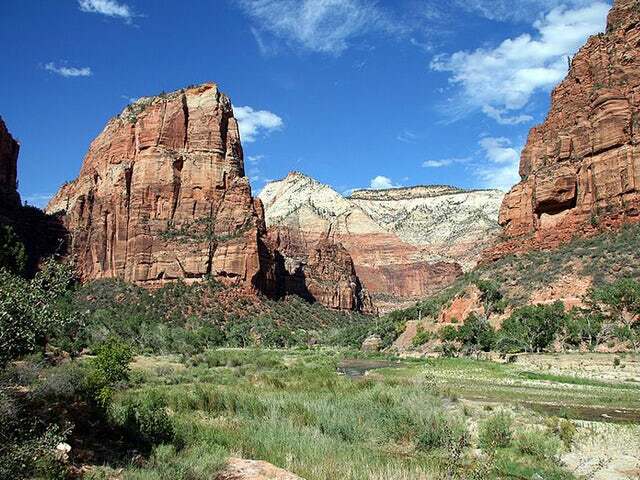 With three trails and hiking options to choose from, you’ll get to budget your time and maximize the hiking adventure with lots of sceneries in Zion National Park. Zion Narrows Day Hike would be best for tourists and casual hikers. Get to see the best possible views of the Zion Narrows. Starting from the vertical-walled natural amphitheater about 3,000 feet deep, you’ll be hiking up the Riverside Walk trail continuing to a refreshing river where you’ll get to see the best “narrows” sections. You can either continue hiking, and see more of those beautiful sceneries before retracing your steps, or you can take a detour side hiking up on Orderville Canyon to see amazing slot canyon scenery. Contact us now and get to see the Zion Narrows!